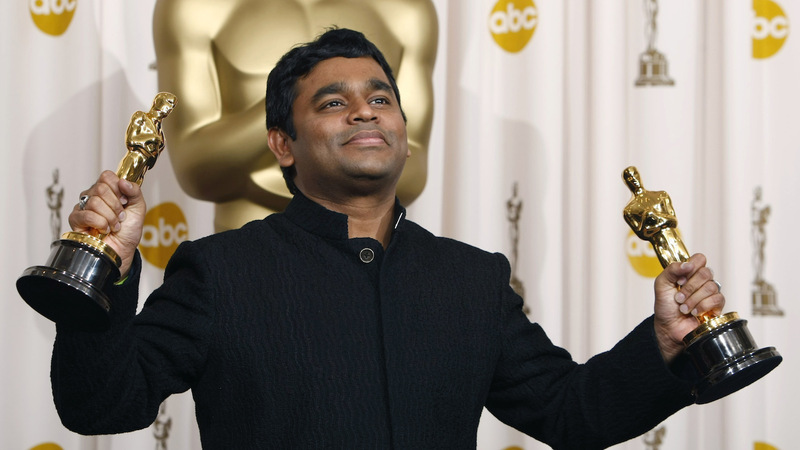 JNN 29 Jan 2015 Chennai: India’s Oscar winning music director Allahrakha Rahman ( A.R.Rehman ) has described how he and his mother opted for Sufi Islam, after the untimely death of his father. In Nasreen Munni Kabir’s book A R Rahman: The Spirit of Music, the music composer tells the writer how he and his family voluntarily converted to Sufi Islam. “My mother was a practising Hindu. She had always been spiritually inclined. We had Hindu religious images on the walls of the Habibullah Road house where we grew up. There was also an image of Mother Mary holding Jesus in Her arms and a photograph of the sacred sites of Mecca and Medina,” Rahman said. “He suggested the names: Abdul Rahman and Abdul Rahim and said that either name would be good for me. I instantly loved the name Rahman. It was a Hindu astrologer who gave me my Muslim name. This entry was posted in Asia Pacific and tagged A R Rahman, Abdul Rahman, Allahrakha Rahman, AR Rahman, converting to Islam, music composer, Nasreen Munni Kabir, Sufi Islam. Bookmark the permalink.